David Alan Brat (born July 27, 1964) is the dean of the Liberty University School of Business. He served as the U.S. Representative for Virginia's 7th congressional district from 2014 to 2019. Brat came to national prominence when he defeated House Majority Leader Eric Cantor in the district's 2014 Republican primary. Brat's primary victory over Cantor made him the first primary challenger to oust a sitting House Majority Leader since the position's creation in 1899. Brat lost his reelection bid in 2018 to Democrat Abigail Spanberger. David Alan Brat was born in Detroit, Michigan, on July 27, 1964. His father, Paul, was a doctor of internal medicine; his mother, Nancy, was employed as a social worker in Alma, Michigan, where he was raised. His family moved from Alma to Minnesota when David, the oldest of three boys, was in junior high. Brat graduated from Park Center Senior High School in Brooklyn Park, Minnesota. Brat earned a B.A. in business administration from Hope College in 1986, a master's degree in divinity from Princeton Theological Seminary in 1990 and a Ph.D. in economics from American University in 1995. After working for Arthur Andersen and as a consultant for the World Bank, in 1996 Brat joined the faculty of Randolph–Macon College, where he served as chair of the department of economics and taught courses including "Britain in the International Economy", "International Economic Development", and "Business Ethics". From 2010 to 2012 Brat headed Randolph-Macon's BB&T Moral Foundations of Capitalism program, one of 60 similar programs and chairs in the philosophy and economics departments at United States universities devoted to the study of capitalism and morality, endowed by the BB&T Corporation. He is the Dean of the Liberty University School of Business. In August 2011, Brat announced he was running for the Virginia House of Delegates seat for the 56th district. There was no primary, and six Republican leaders met and chose Peter Farrell as the Republican nominee for the November 2011 general election. Dave Brat speaking at an event in February 2016. Brat's run for the House of Representatives in 2014 was notable in its lack of resources and traditional campaign tactics. In his challenge of House Majority Leader Eric Cantor for the Republican nomination, Brat was outspent by Cantor 40 to 1: Cantor spent over $5 million, while Brat raised $200,000 and did not spend all of it. Brat's primary campaign was managed by 23-year-old Zachary Werrell. An analysis of campaign filings conducted by the Center for Responsive Politics concluded that Brat did not receive any donations from political action committees (PACs), noting "it's almost impossible to profile Brat's typical donor, because he had so few." Brat's victory garnered national attention, as it was the first time a sitting House Majority Leader was defeated in his primary race since the position was created in 1899. Brat defeated Cantor by a 12-point margin. Compared with Cantor, described as aloof, Brat was characterized as knowing how to work a crowd. He ran an anti-establishment campaign criticizing Cantor's position on illegal immigration, government bailouts and budget deals while frequently invoking God and the United States Constitution in his speeches. During the campaign, Cantor criticized Brat as a "liberal professor" who had strong ties to Tim Kaine, Virginia's former Democratic governor and current junior Senator. Brat complained that Cantor had a "crony-capitalist mentality", putting the interests of the corporate sector ahead of small businesses. Radio talk show host Laura Ingraham endorsed Brat's candidacy and hosted a rally with him in a Richmond suburb. Brat was also supported by radio talk show host Mark Levin and Ann Coulter. Chris Peace, a state legislator who collaborated with Brat on state budget issues at Randolph-Macon College, said that Brat was inspired to run for Congress because of "his passion for the structure of government and belief in free markets." Brat's victory was described in the press as exposing a "deep schism" in the Republican party between its conservative base and its business wing, as well as a split between establishment Republicans and Tea Party insurgents. Some libertarian groups, such as the Virginia Liberty Party, backed Brat. Brat received support from, and gave credit for his win to, local Tea Party groups in Virginia, but received no funding or endorsement from national Tea Party organizations. Brat has not identified with the Tea Party movement. Ron Rapoport, a political scientist at the College of William & Mary, has said Brat may be correctly identified as a "tea partier" only if the term is used as a catchall for "anti-establishment activist", while John Judis has opined that Brat could more correctly be described as a "right-wing populist". Matea Gold in The Washington Post stated, "the fact that Brat took off without the help of those organizations [national tea party groups] now makes it harder for them to claim his victory as their own." Although the national media were shocked at Brat's victory, Richmond-area media outlets had received signs well before the primary that Cantor was in trouble. The Richmond Times-Dispatch reported two weeks before the primary that a number of Cantor's constituents felt he took them for granted. The Times-Dispatch also revealed that Cantor's attempt to brand Brat as a liberal professor actually made more people turn out for Brat. The Chesterfield Observer, a local paper serving Chesterfield County—roughly half of which is in the 7th—reported that Tea Party-aligned candidates had won several victories there, and at least one Cantor loyalist believed Tea Party supporters smelled "blood in the water." One local reporter told David Carr of The New York Times that many constituents believed Cantor was arrogant and unapproachable. Due to massive cutbacks, the race was severely underpolled by local media. Few Capitol Hill reporters were willing to go to Cantor's district for fear that they would be out of Washington if a major story broke. Brat faced Democratic nominee Jack Trammell, another professor at Randolph-Macon, and James Carr, the Libertarian candidate, in the November general election. Brat was favored because of the 7th's significant Republican leaning (the district has a Cook Partisan Voting Index of R+10, showing it to be the most Republican district in eastern Virginia). 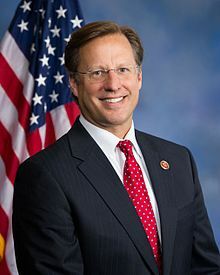 According to an article in The Boston Globe, Cantor announced plans to aid Brat by resigning from the United States Congress on August 18, so that a special election for the balance of Cantor's seventh term could be held on the same day as the general election for a full two-year term. Thus the winner, in a race in which Brat was favored, would take office with two months' more seniority over other first-term Republicans elected in the 2014 midterm elections and the ability to participate in the lame-duck session of Congress. Brat defeated Trammell in that election, with 60.83% of the vote to Trammell's 36.95%. Carr finished third, with 2.09% of the vote. A court-ordered redistricting significantly changed the 7th's configuration. It lost its share of Richmond to the neighboring 4th District; the 7th and its predecessors had included all or part of Richmond for over a century (it had been numbered as the 3rd District before 1993). It also lost Hanover County to the 1st District. Brat defeated Democrat Eileen Bedell with 57.7% of the vote in the general election on November 8, 2016. Brat ran for a third term in 2018 against Henrico native and former CIA officer Abigail Spanberger. The race was rated "Safe Republican" by the nonpartisan Cook Political Report until October 13, 2017, when Cook updated the rating to "Likely Republican." On February 8, 2018, the rating was changed to "Leans Republican," and on July 7, 2018, the race was rated a "Toss-up." During an October 2018 debate, Brat characterized Spanberger as a disciple of Nancy Pelosi. Brat referred so often to Pelosi that it started to draw laughs. According to the Washington Post, a conservative estimate is that he referred to Pelosi 25 times. Brat ultimately lost to Spanberger, 48.4% to 50.4%, due in part to a large swing in the district's shares of Henrico and Chesterfield counties, traditional Republican strongholds. While Brat carried five of the district's seven counties, Spanberger swamped him in Henrico and Chesterfield by a combined 30,600 votes, five times the overall margin of 6,600 votes. Brat was sworn in on November 12, 2014, to finish Cantor's term. He was a member of the Freedom Caucus. On January 6, 2015, Brat was one of 25 House Republicans to vote against John Boehner's reelection as Speaker of the United States House of Representatives. Boehner, who needed at least 205 votes, was reelected with 216 votes. Though Brat supported Boehner earlier, he reversed his support after the House GOP leadership did not allow him to make an amendment to block a controversial executive order signed by President Barack Obama in a spending bill. Brat faced heckling by 150 people at a "raucous" town hall meeting in the small town of Blackstone, Virginia, on February 21, 2017. Some questioned him on the border wall, health care, and President Trump's policies. Several of Brat's supporters left the meeting early. He was criticized for not meeting with his constituents because he claimed there were paid protesters among them. On January 28, at a meeting held at Hanover Tavern with "the GOP-friendly audience", he had lamented that, "[s]ince Obamacare and these issues have come up, the women are in my grill no matter where I go. They come up — 'When is your next town hall?' And believe me, it’s not to give positive input." He also urged his fellow conservatives at the Tavern, "to write newspaper articles because "we’re getting hammered." Brat considered running in Virginia's 2018 Senate election. In November 2017, the Richmond Times-Dispatch reported that a campaign staffer was using her personal Facebook profile to debate commenters on his Facebook posts. The woman did not identify herself as a paid campaign staffer. When asked about this, Brat said, "Her job is to clarify issues and put out my policy positions from my vantage point. It’s not to argue with people." Brat had another run-in with social media on March 1, 2018, when it was discovered that his campaign Twitter account had "liked" several controversial tweets, including one that questioned whether one of the survivors of the Parkland school shooting, David Hogg, was a "crisis actor". After an outcry from concerned constituents, Brat's office issued a statement that attributed the likes to a campaign staffer who believed they were logged into their personal account. He also said that safeguards were being put in place to ensure it did not happen again. Brat asserts that culture matters in economic markets. He believes that the culture that produced Adam Smith was a Protestant culture and that fact and the ethics of that culture are important in understanding market efficiency. Brat advocated that Christians should more forcefully support free-market capitalism and behave more altruistically, in the manner of Jesus, so that "we would not need the government to backstop every action we take." According to Kevin Roose in a New York Magazine article, Brat "sees free-market economics as being intricately linked to ethics and faith and he makes the case that Adam Smith's invisible hand theory, should be seen in the context of Christianity". Furthering the central theme of Max Weber's seminal book The Protestant Ethic and the Spirit of Capitalism, Brat argues in his 2004 paper Economic Growth and Institutions: The Rise and Fall of the Protestant Ethic? that "institutions such as religion, democracy and government anti-diversion policies all significantly enhance a country's long-run economic performance," and concludes that "the religion variable may be the strongest ex ante, exogenous institutional variable in the literature." In a paper titled Is Growth Exogenous? Taking Bernanke Seriously, Brat criticized Federal Reserve chairman Ben Bernanke, asserting that Bernanke's work on economic growth overlooks religious institutions – in particular Protestant – in a country's economic growth, and that while savings rates, population growth, and human capital accumulation help drive economic growth, the larger factor is "the Protestant religious establishment", which Bernanke ignores. Zack Beauchamp from Vox Media has said that Brat believes that "most economists are motivated by philosophy rather than science: they're secretly utilitarians who believe that the goal of public policy is to produce the greatest good for the greatest number." Although Brat has stated he does not identify as a Randian, he has acknowledged having been influenced by Ayn Rand's novel Atlas Shrugged and has expressed appreciation of Ayn Rand's case for human freedom and capitalism. Conservative Review has graded Brat's voting record an A with a Liberty Score of 100%. Brat is one of two Republican representatives to receive this highest possible grade out of 247 Republicans in the House of Representatives, along with Jim Jordan of Ohio. Brat has promised to vote against raising the debt ceiling for the first five years he is in Congress, and he attacked Cantor during the primary campaign for voting to end the federal government shutdown of 2013. Brat advocates for an end to tax credits, deductions and loopholes, and calls for a more flat and efficient tax code. Brat has indicated he opposed TARP, the Troubled Asset Relief Program of 2008, and has stated that, if elected, he would "vote against bills that benefit big business over small business". He has stated: "I'm not against business. I'm against big business in bed with big government." Brat supported President Trump's trade policies, arguing that Americans benefitted from re-negotiating NAFTA and that while tariffs on China would cause short-term harms, they would ultimately lead to "zero tariffs." Brat opposes the Affordable Care Act (Obamacare). In March 2017, Brat said that he opposed the initial version of the American Health Care Act, which was the GOP's replacement plan for the Affordable Care Act (Obamacare), and that he intended to vote against it in the House Budget Committee. On May 4, 2017, Brat voted to repeal the Affordable Care Act (Obamacare) and pass the revised version of the American Health Care Act. Brat said that the bill would contain protections for preexisting conditions and lead to lower prices; The Washington Post noted that the bill would have allowed insurers to charge higher premiums for individuals with preexisting conditions, and that an analysis by the Congressional Budget Office estimated that average health care premiums would increase as a result of the bill (more so for older Americans). During his 2018 re-election campaign, Brat falsely claimed that The Washington Post fact-checker had given "four pinocchios" to his opponent Abigail Spanberger for claims she made about Brat's position on health care. The Washington Post fact-checker asked Brat to comment on his misrepresentation but did not receive a response. Brat has called for the National Security Agency to end bulk collection of phone records and has stated his support for statutory protections for e-mail privacy. He has argued that domestic intelligence activities have "spun out of control" and that "the NSA's indiscriminate collection of data on all Americans is a disturbing violation of our Fourth Amendment right to privacy." In an April 21, 2015, interview with radio talk show host Rusty Humphries, Brat claimed that the terrorist group ISIS has set up a base in Texas. "In our country it looks like we have an ISIS center in Texas now...You can't make up what a terrible problem this is." After the Texas Department of Public Safety responded that there was no substantiation for the claim, Brat's office said that he had really meant to say Mexico, not Texas, citing the conservative group Judicial Watch, which declined to provide any substantiation for its report. Brat supported President Donald Trump's 2017 executive order to temporarily curtail immigration from the Muslim-majority nations of Iran, Iraq, Libya, Somalia, Sudan, Syria, and Yemen until better screening methods are devised. Brat stated that "the temporary halt on migration from seven countries will last only a few months until we have solid vetting procedures in place, and that "these seven countries with a temporary travel ban have been identified by both the Obama administration and our intelligence agencies as being the greatest threat to our national security because they have a history of training, harboring, and exporting terrorism." In September 2017, Brat said that Deferred Action for Childhood Arrivals (DACA), which provided temporary stay for unauthorized immigrants brought to the United as minors, would allow the minors to "bring in their entire extended family once they reach a certain status," and could up to 4 million additional immigrants. PolitiFact disputed Brat's 4 million figure. In 2011, Brat criticized the political right for simultaneously advancing the pursuit of individual liberty while pushing laws restricting abortion, gay rights and gambling, and the political left for simultaneously supporting progressive liberal individualism while coercing others to "fund every social program under the sun". Brat's website states that he supports "the life of every child, both born and unborn." Brat has criticized both major parties' approach to Medicare and Social Security, stating, "neither side of the aisle will talk about the most important issues because that is going to involve pain." Brat advocates "market-based reforms" to these programs, arguing individuals ought not to receive more from programs than they have paid into them. Brat has suggested age- and means-based reform to the eligibility of claimants for mandatory entitlements as a means to avoid insolvency. Brat is a proponent of term limits for members of Congress. He has pledged to serve a maximum of 12 years (six terms) in Congress. Brat, David A.; Kenneth Sands; Evan Dungan (2009). "NAEP Scores, Human Capital, and State Growth". Virginia Economic Journal. 14: 21–43. Park, Walter G.; David A. Brat (1995). "A Global Kuznets Curve?". Kyklos. 48 (1): 105. doi:10.1111/j.1467-6435.1995.tb02317.x. "All Democracies Created Equal? 195 Years Might Matter" (PDF). Randolf-Macon College. Retrieved June 11, 2014. Brat, David (2004). "Economic Growth and Institutions: The Rise and Fall of the Protestant Ethic?". Virginia Economic Journal. 9: 33–40. Park, Walter G; Brat, David A (Summer 1996). "Cross-Country R&D and Growth: Variations on a Theme of Mankiw-Romer-Weil" (PDF). Eastern Economic Journal. 22 (3): 345–54. Retrieved June 13, 2014. Brat moved to Virginia in 1996 with his wife, Laura. They live in Glen Allen, a suburb of Richmond. They have two children. Brat was raised in a Presbyterian church and his wife, Laura, is a Roman Catholic. Splitting their time between two churches, they are parishioners of St. Mary Catholic Church in Richmond. Brat also identifies himself as a Calvinist and lists affiliations with Christ Episcopal Church, Third Presbyterian, and Shady Grove Methodist. ^ a b "House Majority Leader Eric Cantor loses GOP primary to tea-party challenger". Dallas Morning News. Associated Press. June 10, 2014. Archived from the original on June 12, 2014. Retrieved June 11, 2014. ^ Eric Linton (June 10, 2014). "House Majority Leader Eric Cantor Defeated By Tea Party Challenger David Brat In Virginia GOP Primary". International Business Times. Retrieved June 11, 2014. ^ Gary Robertson (May 2014). "News and Features". Richmond Magazine. Retrieved June 12, 2014. ^ "Virginia-7: Dave Brat (R)". nationaljournal.com. Archived from the original on June 20, 2015. Retrieved August 1, 2016. ^ Elizabeth Nolan Brown (June 11, 2014). "Who Is Dave Brat? Take a Look at the Ayn Rand Loving, Immigration Reform Hating, Cato Institute Referencing Man Who Beat Eric Cantor – Reason 24/7". Reason.com. Retrieved June 12, 2014. ^ a b c d e f "Alma native now in the red hot heat of publicity". Themorningsun.com. June 6, 2014. Archived from the original on June 17, 2014. Retrieved June 12, 2014. ^ Juanski (June 11, 2014). "David Brat Archives | Michigan News". Michigan.icito.com. Retrieved June 12, 2014. ^ "News and Features". Richmond Magazine. December 7, 2013. Archived from the original on June 16, 2014. Retrieved June 12, 2014. ^ a b c David Brat. "Academic CV" (PDF). Randolph-Macon College. Archived from the original (PDF) on June 11, 2014. Retrieved June 11, 2014. ^ "Classes". Randolph-Macon College. Archived from the original on June 14, 2014. Retrieved June 12, 2014. ^ Levy, Pema (June 11, 2014). "What We Know About Dave Brat, the Tea Party Candidate Who Beat Eric Cantor". Newsweek. Archived from the original on June 13, 2014. Retrieved June 13, 2014. ^ Santoli, Michael (June 13, 2014). "The big bank that blessed Brat's upset of Eric Cantor". Yahoo Finance. Archived from the original on July 2, 2014. Retrieved June 12, 2014. ^ "Clemson Institute for the Study of Capitalism". Clemson University. Archived from the original on October 24, 2014. Retrieved June 12, 2014. ^ a b "David Brat Faculty CV". Randolph-Macon College. Randolph-Macon College. Archived from the original on May 23, 2014. Retrieved June 11, 2014. ^ "Departing House member Brat lands at Liberty University". Politico. January 2, 2019. Archived from the original on January 3, 2019. Retrieved January 2, 2019. ^ Gizzi, John (June 10, 2014). "Virginians Felt Cantor's DC Power Did Little to Help Them". NewsMax. Archived from the original on September 8, 2014. Retrieved September 8, 2014. ^ Michelle Stanley (August 18, 2011). "Dr. David Brat seeks 56th House of Delegate Seat". Virginia Right. Archived from the original on June 14, 2014. Retrieved June 13, 2014. ^ Memoli, Michael A. (June 11, 2014). "Eric Cantor upset: How Dave Brat pulled off a historic political coup]". Los Angeles Times. Archived from the original on October 14, 2014. Retrieved October 26, 2014. ^ Mascaro, Lisa; Michael A. Memoli; Mark Z. Barabak (June 11, 2014). "Washington reels as House's Eric Cantor loses to tea party challenger". Los Angeles Times. Archived from the original on October 28, 2014. Retrieved October 26, 2014. ^ Betsy Woodruff (June 10, 2014). "Meet Dave Brat's 23 Year Old Campaign Manager". Washington Examiner. Archived from the original on June 14, 2014. Retrieved June 11, 2014. ^ Choma, Russ (June 11, 2014). "Dave Versus Goliath, By the Numbers". opensecrets.org. Center for Responsive Politics. Archived from the original on June 13, 2014. Retrieved June 12, 2014. ^ a b Martin, Jonathan (June 11, 2014). "Eric Cantor Defeated by David Brat, Tea Party Challenger, in G.O.P. Primary Upset". The New York Times. p. A1. Archived from the original on June 11, 2014. Retrieved June 11, 2014. ^ Janet Hook and Kristina Peterson (June 10, 2014). "Eric Cantor Loses to Tea Party's David Brat in Virginia Primary". The Wall Street Journal. Retrieved June 11, 2014. ^ Robert Costa, Laura Vozzella and David A. Fahrenthold (June 10, 2014). "Eric Cantor succumbs to tea party challenger Tuesday". The Washington Post. Archived from the original on June 10, 2014. Retrieved June 11, 2014. ^ Chris Moody (June 11, 2014). "Washington is caught totally off guard by Cantor loss". Yahoo News. Archived from the original on June 11, 2014. Retrieved June 11, 2014. ^ Chad Pergram, Associated Press. (June 10, 2014). "Cantor upset in Virginia GOP primary by Tea Party backed challenger". Fox News. Archived from the original on June 11, 2014. Retrieved June 11, 2014. ^ J.S., "Who Is David Brat?" Archived October 28, 2016, at the Wayback Machine, Democracy in America blog, The Economist, June 16, 2014. Retrieved October 29, 2014. ^ "The Beginning of Now". This American Life. Archived from the original on May 12, 2017. Retrieved April 29, 2017. ^ "Cantor out in Tea Party shocker". thehill.com. The Hill. June 10, 2014. Archived from the original on June 11, 2014. Retrieved June 12, 2014. ^ Parkinson, John. "Dave Brat: Meet the Candidate Who Beat Eric Cantor". ABC News. Retrieved June 12, 2014. ^ Cassidy, John (June 11, 2014). "Cantor Loses, and Washington Goes Ape". The New Yorker. Archived from the original on June 12, 2014. Retrieved June 11, 2014. ^ Bump, Philip (June 10, 2014). "David Brat just beat Eric Cantor. Who is he?". The Washington Post. Archived from the original on June 11, 2014. Retrieved June 11, 2014. ^ Steinhauer, Jennifer (June 12, 2014). "Once Snubbed, David Brat Turns the Tables". The New York Times. p. A1. Archived from the original on June 12, 2014. Retrieved June 12, 2014. ^ Gold, Matea (June 10, 2014). "How national tea party groups missed the David Brat boat". The Washington Post. Archived from the original on June 12, 2014. Retrieved June 12, 2014. Brat's victory underlined the deep schism in the party between its conservative base and its business wing. ^ "Tea party stuns GOP leader Eric Cantor". Charlotte Observer. Archived from the original on July 14, 2014. Retrieved June 13, 2014. Brat also got help from the more conservative wing of the Virginia Republican Party, which for years has been split between more establishment Republicans and tea party activists. ^ "Emboldened after Cantor, tea party crows". Yahoo News. Archived from the original on July 15, 2014. Retrieved June 13, 2014. The GOP is expected to retain control of the House, but Brat's pounding of Cantor Tuesday ripped open the establishment-vs.-insurgent split that's plagued the party since the 2010 elections. ^ "The Virginia Liberty Party 2014 General Election Endorsements". Virginia Liberty Party. Archived from the original on December 24, 2014. Retrieved November 3, 2014. ^ "How David Brat Won". Politico. June 11, 2014. Archived from the original on June 14, 2014. Retrieved June 12, 2014. ^ Peter, Grier (June 11, 2014). "Is David Brat really a tea partier?". The Christian Science Monitor. Archived from the original on June 12, 2014. Retrieved June 12, 2014. ^ Gold, Matea (June 10, 2014). "How national tea party groups missed the David Brat boat". The Washington Post. Archived from the original on June 12, 2014. Retrieved June 12, 2014. ^ a b Carr, David (June 16, 2014). "Eric Cantor's Defeat Exposed a Beltway Journalism Blind Spot". The New York Times. Archived from the original on March 20, 2017. Retrieved March 1, 2017. ^ Schapiro, Jeff (May 24, 2014). "In New Kent, Brat Backers Hope To Hold Cantor Accountable". Richmond Times-Dispatch. ^ McConnell, Jim (June 4, 2014). "Retreading the GOP?". The Chesterfield Observer. Archived from the original on January 3, 2017. Retrieved September 19, 2016. ^ Andrew Prokop (June 10, 2014). "Dave Brat and his Democratic general election opponent are both professors from the same college". Vox.com. Archived from the original on June 11, 2014. Retrieved June 11, 2014. ^ Cania, Catalina (June 11, 2014). "Who is Dave Brat, GOP giant-killer who took down Eric Cantor?". USA Today. Archived from the original on December 29, 2016. Retrieved August 26, 2017. ^ Kenny, Steve. "In effort to aid successor, Eric Cantor to leave House early". www.bostonglobe.com. The Boston Globe. Archived from the original on August 4, 2014. Retrieved August 2, 2014. ^ "After Toppling Eric Cantor, Dave Brat Wins His Seat". U.S. News. Archived from the original on November 5, 2014. Retrieved November 5, 2014. ^ a b c "Rep. Brat and Democrat Spanberger tangle in first — and probably only — debate". Washington Post. Archived from the original on October 16, 2018. Retrieved October 16, 2018. ^ Fuller, Matt (October 16, 2018). "GOP Congressman Somehow Manages To Mention Nancy Pelosi 21 Times In A Debate". Huffington Post. Archived from the original on October 16, 2018. Retrieved October 16, 2018. ^ "Virginia's 7th House District Election Results: Dave Brat vs. Abigail Spanberger". Archived from the original on November 7, 2018. Retrieved November 7, 2018. ^ "Virginia House results from CNN". Archived from the original on November 9, 2018. Retrieved November 12, 2018. ^ "Dave Brat Takes Office As Eric I. Cantor's Replacement in 7th District". The Daily Progress, November 12, 2014. Retrieved November 13, 2014. ^ "What is the House Freedom Caucus, and who's in it?". Pew research center. October 20, 2015. Archived from the original on July 3, 2018. Retrieved October 26, 2017. ^ French, Lauren (January 6, 2015) – "Hell No Caucus Sees Silver Lining In Loss" Archived April 5, 2015, at the Wayback Machine. POLITICO. Retrieved February 26, 2015. ^ Camia, Catalina (January 5, 2015) – "Rep. Dave Brat: Boehner Won't Have My Support" Archived March 7, 2015, at the Wayback Machine. USA Today. Retrieved February 26, 2015. ^ a b Jenna Portnoy (February 21, 2017). "The women got up in Brat's grill, and then some". The Washington Post. Blackstone, Virginia. Archived from the original on February 22, 2017. Retrieved February 21, 2017. ^ Jenna Portnoy (January 31, 2017). "The women got up in Brat's grill, and then some". The Washington Post. Virginia. Archived from the original on February 20, 2017. Retrieved February 21, 2017. ^ James Arkin (October 4, 2016). "GOP Starts to Eye Race to Replace Kaine in Senate". RealClearPolitics. Archived from the original on October 5, 2016. Retrieved February 21, 2017. ^ a b c Times-Dispatch, VANESSA REMMERS AND PATRICK WILSON Richmond. "She argued with liberals on Rep. Dave Brat's Facebook page. Then they found out he was paying her". Richmond Times-Dispatch. Retrieved November 17, 2017. ^ Garcia, Eric; Garcia, Eric (March 2, 2018). "Brat's Office Removes 'Likes' of Controversial Parkland Tweets". Roll Call. Archived from the original on March 22, 2018. Retrieved March 21, 2018. ^ Times-Dispatch, PATRICK WILSON Richmond. "Rep. Dave Brat's Twitter account removes likes of controversial tweets after outcry". Richmond Times-Dispatch. Retrieved March 21, 2018. ^ O'Brien, Matt (June 11, 2014). "Dave Brat's unorthodox economics: Adam Smith 'was from a red state'". The Washington Post. Archived from the original on June 12, 2014. Retrieved June 13, 2014. ^ a b c Reid J. Epstein (June 11, 2014). "David Brat's Writings: Hitler's Rise 'Could All Happen Again'". The Wall Street Journal. Archived from the original on June 13, 2014. Retrieved June 13, 2014. ^ a b Roose, Kevin (June 11, 2014). "David Brat Just Became the Christian Right's Favorite Economist". New York Magazine. Archived from the original on June 13, 2014. Retrieved June 12, 2014. ^ Noah, Timothy (June 11, 2014). "Dave Brat: Christianity is the key to prosperity". MSNBC.com. Archived from the original on June 15, 2014. Retrieved June 12, 2014. ^ Zumbrum, Josh (June 11, 2014). "David Brat to Bernanke: Don't Underestimate the Value of Protestants". The Wall Street Journal. Archived from the original on June 13, 2014. Retrieved June 12, 2014. ^ a b Dias, Elizabeth (June 11, 2014). "David Brat's Biblical Views Shape His Tea Party Politics". Time. Archived from the original on June 12, 2014. Retrieved June 12, 2014. ^ Beauchamp, Zack (June 10, 2014). "The guy who beat Eric Cantor penned a scathing, seemingly unpublished book about the economics profession". Vox. Archived from the original on June 12, 2014. Retrieved June 12, 2014. ^ Woodruff, Betsy (January 6, 2014). "Eric Cantor's Challenger from the Right". National Review. National Review Online. Archived from the original on June 26, 2014. Retrieved June 11, 2014. ^ "Conservative Review - Scorecard". conservativereview.com. Archived from the original on July 21, 2016. Retrieved August 1, 2016. ^ a b Pierce, Charleps P. (June 11, 2014). "A Stunning Victory for the Tea Party, and What It Means". Esquire. Archived from the original on June 14, 2014. Retrieved June 12, 2014. ^ a b "Issues". Dave Brat for Congress. Retrieved June 11, 2014. ^ a b Fang, Lee (June 11, 2014). "Eric Cantor's Opponent Beat Him by Calling Out GOP Corruption". The Nation. Retrieved June 12, 2014. ^ Rosenwald, Michael (June 11, 2014). "Capitalism and ethics drive Brat's world view". The Washington Post. Archived from the original on June 13, 2014. Retrieved June 13, 2014. ^ Brat, Dave (June 6, 2014). "Brat: A challenger for the 7th District". Times Dispatch. Retrieved June 13, 2014. ^ "Obamacare repeal bill faces tough committee vote Thursday". POLITICO. Retrieved March 15, 2017. ^ "How the House voted to pass the GOP health-care bill". Washington Post. Archived from the original on May 5, 2017. Retrieved May 4, 2017. ^ Staff, C. N. N. "How every member voted on health care bill". CNN. Archived from the original on May 4, 2017. Retrieved May 4, 2017. ^ "Analysis | Virginia congressman misrepresents Washington Post fact check in debate". Washington Post. Archived from the original on October 16, 2018. Retrieved October 16, 2018. ^ Fung, Brian (June 11, 2014). "Eric Cantor was a friend of the NSA. The guy who beat him hates it". The Washington Post. Archived from the original on June 12, 2014. Retrieved June 12, 2014. ^ Lee, Timothy (June 10, 2014). "Eric Cantor's loss is bad news for the NSA". vox.com. Vox. Archived from the original on June 11, 2014. Retrieved June 11, 2014. ^ Blake, Aaron. "Coffman, Gardner join Republicans against President Trump's travel ban; here's where the rest stand". Denver Post. Archived from the original on January 29, 2017. Retrieved January 30, 2017. ^ a b "Rep. Dave Brat: DACA recipients lead to chain migration". @politifact. Archived from the original on September 17, 2017. Retrieved September 17, 2017. ^ "Dave Brat Supports Life". Dave Brat for Congress. Archived from the original on June 20, 2018. Retrieved June 20, 2018. ^ Walsh, Deirdre (June 11, 2014). "Cantor challenger, Dave Brat, 'shocked' as results rolled in". CNN. Archived from the original on June 11, 2014. Retrieved June 12, 2014. ^ Vultaggio, Maria (June 10, 2014). "Who Is David Brat? Twitter Reacts To Eric Cantor's Tea Party Challenger". International Business Times. Archived from the original on June 11, 2014. Retrieved June 12, 2014. ^ Digby Parton, Heather (June 12, 2014). "Libertarians' scary, new guru: Why Dave Brat is no populist hero". Salon. Archived from the original on June 13, 2014. Retrieved June 12, 2014. ^ Jones, Susan (December 27, 2015). "Rep. Dave Brat: 'We Have a Fundamental Budget Problem Coming Our Way in 11 Years'". CNSNews.com. Archived from the original on April 4, 2017. Retrieved April 3, 2017. ^ "Unofficial Results – Primary Election – June 10, 2014". Archived from the original on November 30, 2014. Retrieved December 22, 2014. ^ "Election Results – Virginia Department of Elections". Archived from the original on November 7, 2014. Retrieved December 22, 2014. ^ "2016 November General Congress". Archived from the original on November 18, 2016. Retrieved November 20, 2016. ^ "Official Results". 2018 November General. Virginia Department of Elections. November 9, 2018. Archived from the original on November 8, 2018. Retrieved November 11, 2018. ^ "David Brat's Writings: Hitler's Rise 'Could All Happen Again'". The Wall Street Journal. Archived from the original on June 11, 2014. Retrieved June 11, 2014. ^ "So Who's The Guy Who Just Beat Eric Cantor? Meet Dave Brat". The Huffington Post. Retrieved June 11, 2014. ^ Takala, Rudy. "Dave Brat to release his first book this week". The Washington Examiner. Archived from the original on June 29, 2016. Retrieved June 27, 2016. ^ "Laura Brat profile". Dailyentertainmentnews.com. January 15, 1962. Archived from the original on June 13, 2014. Retrieved June 12, 2014. ^ "About Dave Brat". davebrat.com. Friends for Dave Bray. Archived from the original on September 20, 2014. Retrieved September 26, 2014. ^ "David Brat campaign website". Davebratforcongress.com. Retrieved June 11, 2014.